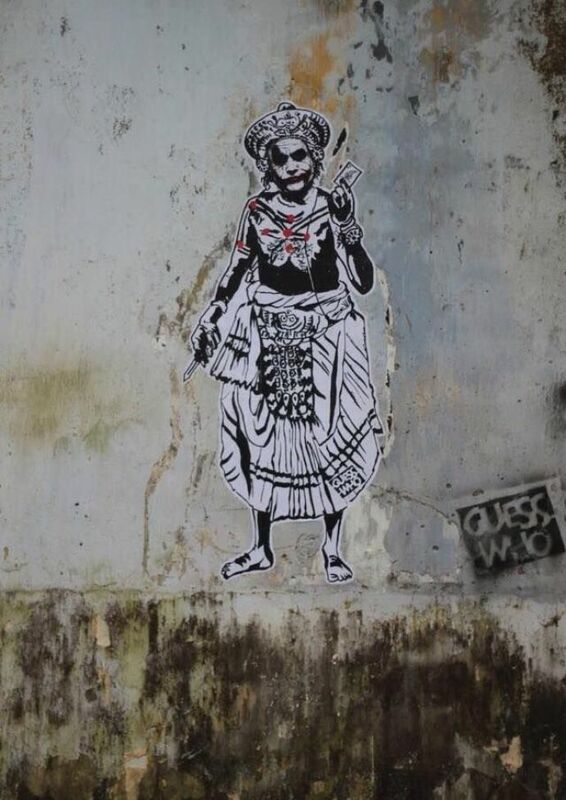 The elusive street artist known only as "Guesswho", decks up Marilyn Monroe in a Kanjeevaram and Che Guevara in a mundu! We Indians put up with a lot of nuisance in public life. And not many of us do anything to actually speak up about things that cause us distress (except for the occasional social media rant, of course). 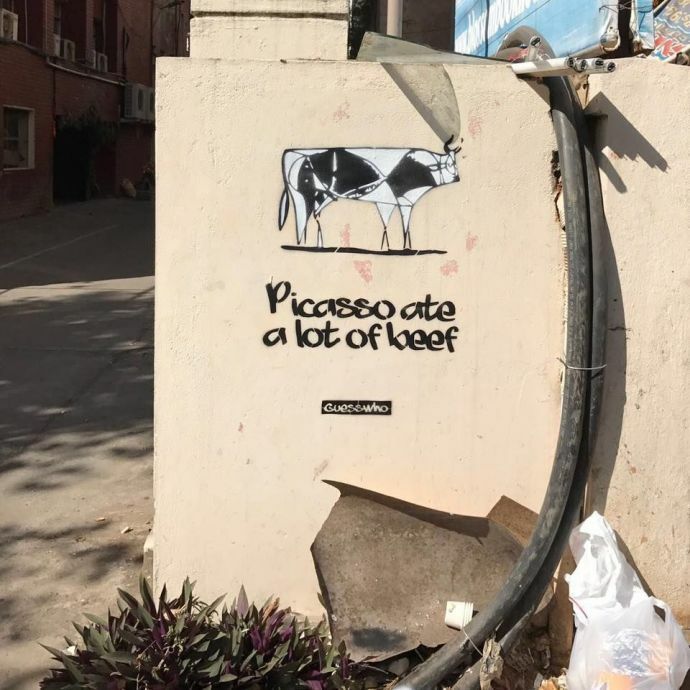 Then there are people like this graffiti artist, who has taken to the streets of South India to voice his ideas on the issues that plague us, in an innovative manner. 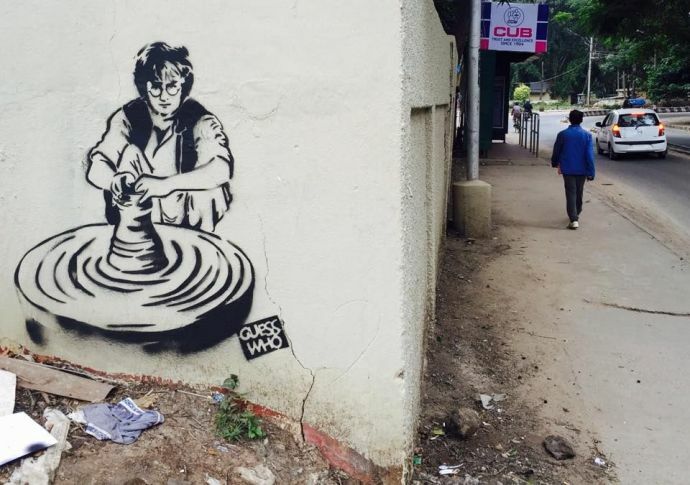 Meet Guesswho, a street artist (or artists), who superimposes Western pop culture icons on scenes from everyday India, to spectacular effect. 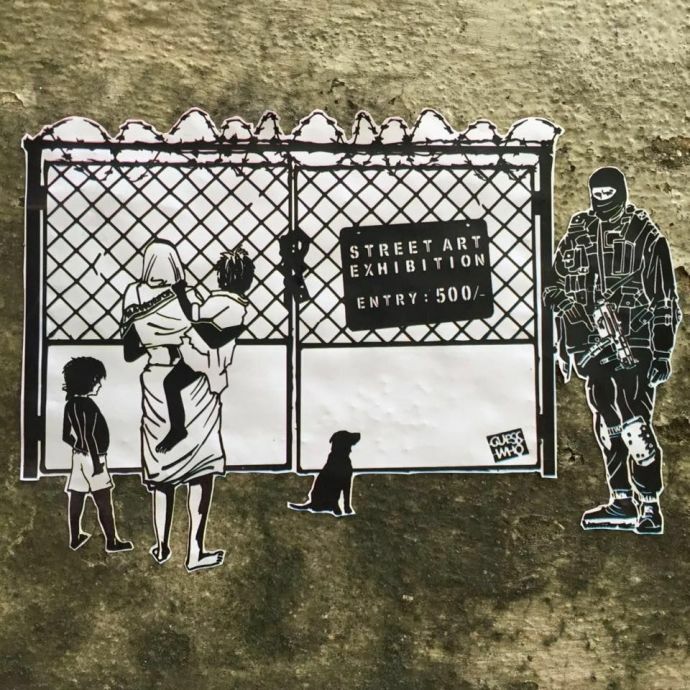 Given his medium of expression and the anonymity he/she has managed to maintain for a long time, this artist is often hailed as the Indian Banksy, after the renowned and mysterious artist from UK who also adorns street walls with works of social interest. Guesswho's latest outing has been an amusing take on the recent hysteria regarding showing "respect" by standing up in honour of the National Anthem. 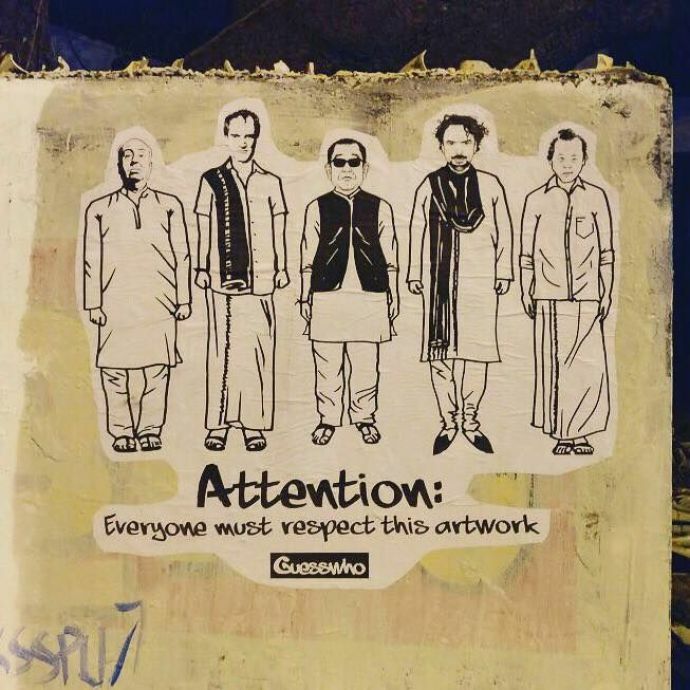 The artwork shows celebrated filmmakers, Alfred Hitchcock, Quentin Tarantino, Akira Kurosawa, Alejandro Innaritu and Kim Ki-duk in solemn poses, standing in honour of, well, the artwork. 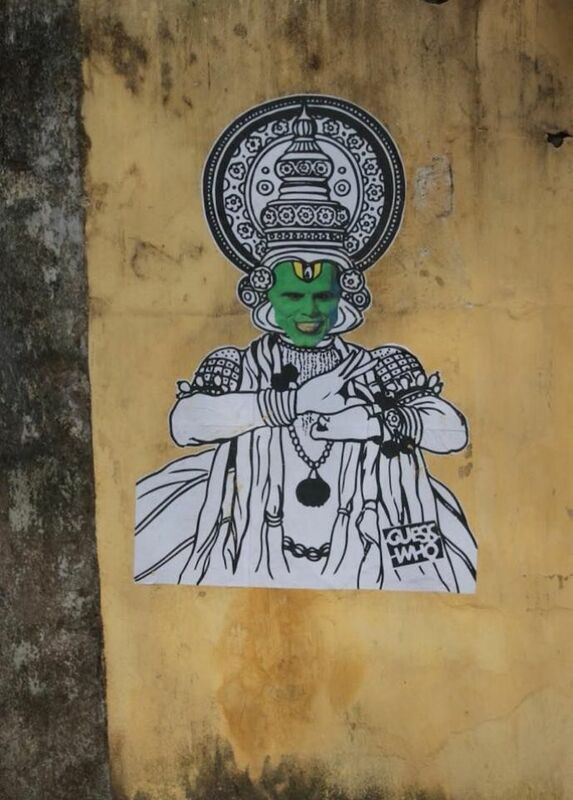 This witty take is just one of many of Guesswho's works which adorn walls in Kochi, Thiruvanthapuram and Bengaluru. "Why just point your fingers at graffiti? We live in a visually polluted place. The streets and walls are flooded with movie posters, advertisements, election campaign signs and notices. Are those against the law? 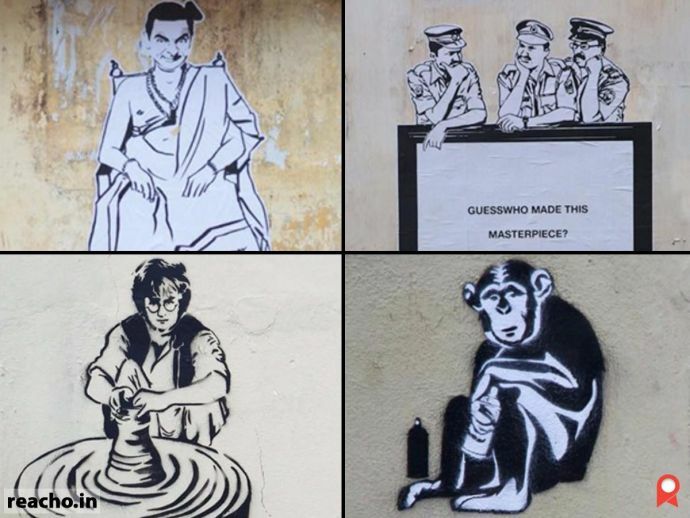 Can those also be called vandalism?" 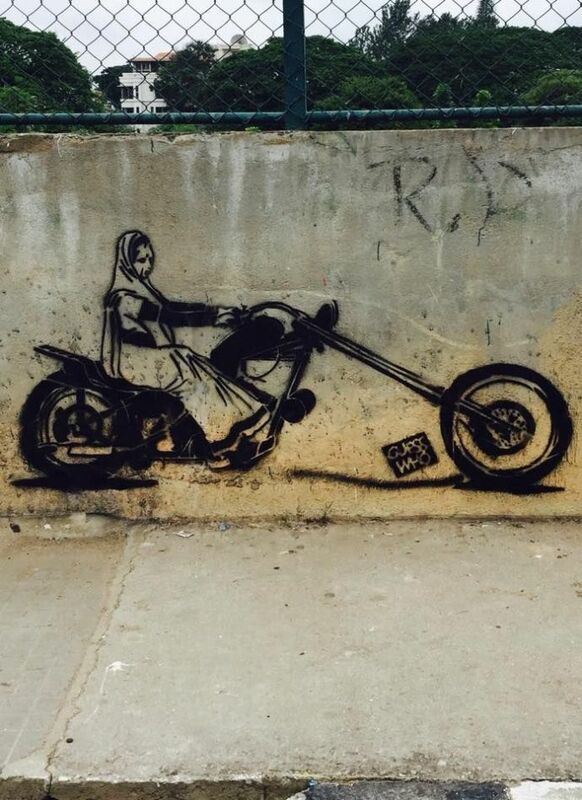 While many of Guesswho's works are defaced or painted over, it does not discourage the artist from expressing himself through stencil graffiti, on issues that demand discussion, free of inhibitions and hypocrisy. Food fads in the face of food scarcity. 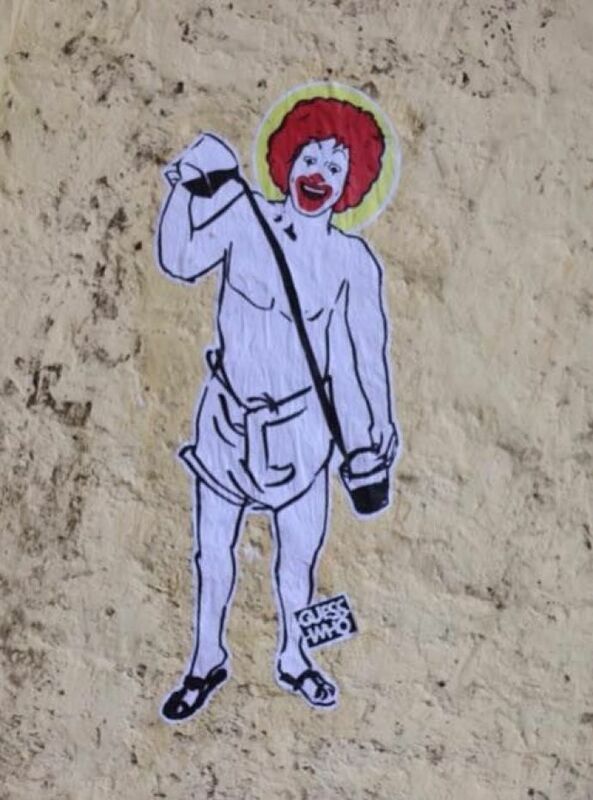 And some works are just a novel representation of your favourite icons from around the world! Vincent Van Gogh, Salvador Dali and Pablo Picasso. 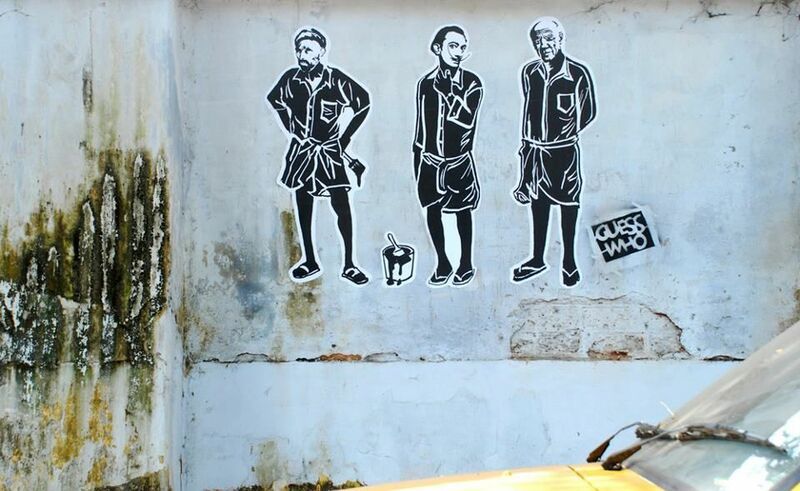 Check out more of Guesswho's work here. All images sourced from Guesswho's Facebook page.